Happiness in the Making: Schwinn(g)! Fitting comfortably into the soft seat, I quickly adjusted the straps, placed my water bottle in the holder, tucked away a motorcycle or two and took off. 1) Wow – my heart rate goes up even higher plowing this thing around. I can even walk some of this! Bonus! 2) I wonder if he’s bored in there? 3) Did I put enough sunscreen on him? 4) Ok, this stroller is awesome. Lightweight and easy to maneuver once you master the whole front wheel doesn’t rotate thing. 5) Should he be wearing a helmet? 6) Um, I think it’s getting too hot already even though it’s only 8:15 a.m. Aren’t we in a ozone alert or something? What’s wrong with me? 7) Oh good – other people are out jogging and biking. I’m not a glutton for punishment. 9) Wow, this stroller is getting soaked with sweat in it’s first run. Poor stroller. But surely it understands. Man it’s easy to push and still keep your running posture. 10) I wonder why the Bob gets all the press? This Schwinn is pretty cool and half the price. 11) What? He still is begging to go home? And now he’s borderline crying. The kid never cries. 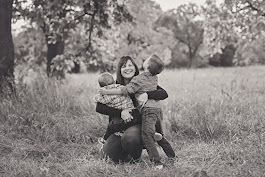 I’m a bad Mom. And, since I’m a woman, there were 10 bzillion other thoughts as well. Don’t run in an ozone alert and don’t drag your kid with you. 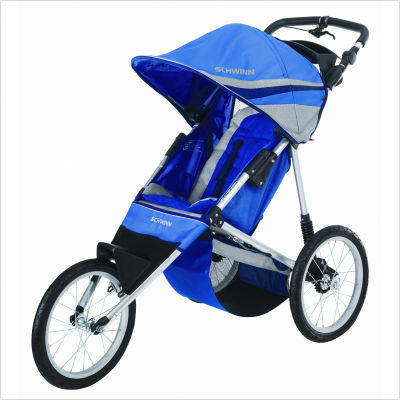 The Schwinn jogging stroller is awesome – find it on Amazon, Target or Babies R’ Us sites. Or just ask your friends on Facebook - they are ever so helpful. Thanks girls! Oh - and the Bob looks awesome, it just wasn't in the budget. Where's That Dude in the Skirt?